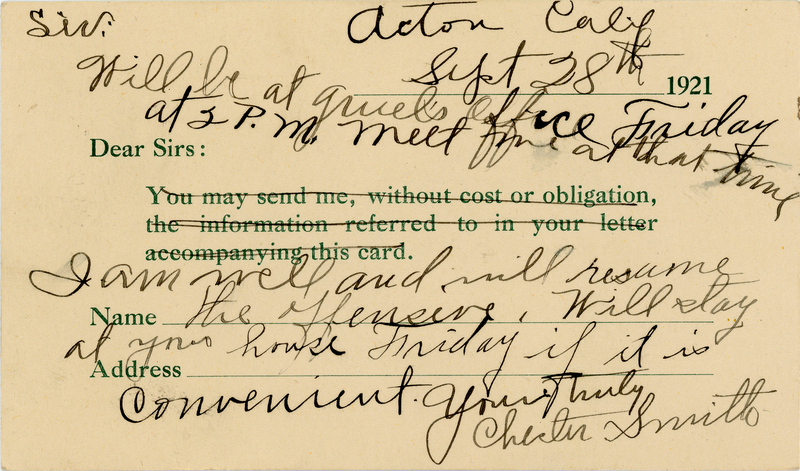 SCVHistory.com LW3372 | Acton | Postcard: Correspondence from Chester Smith, Postmarked Acton, 9-28-1921. 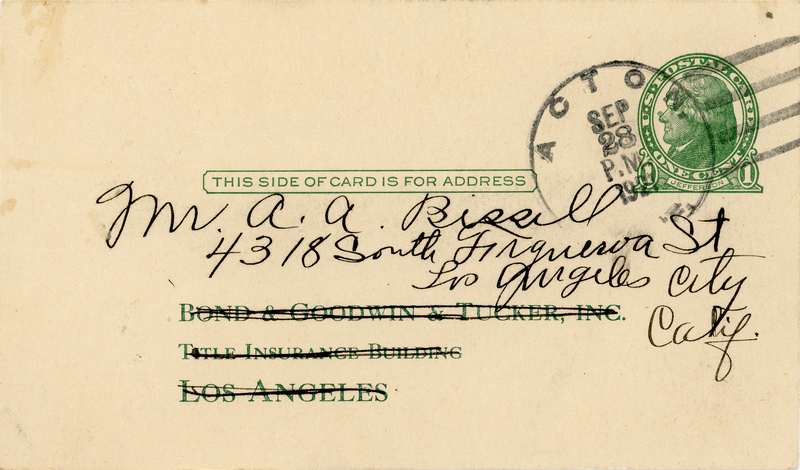 Personal correspondence on a repurposed penny postcard from Chester Smith of Acton to Mr. A.A. Bissell of 4318 South Figueroa Street, Los Angeles, postmarked at Acton on the afternoon of Wednesday, September 28, 1921. 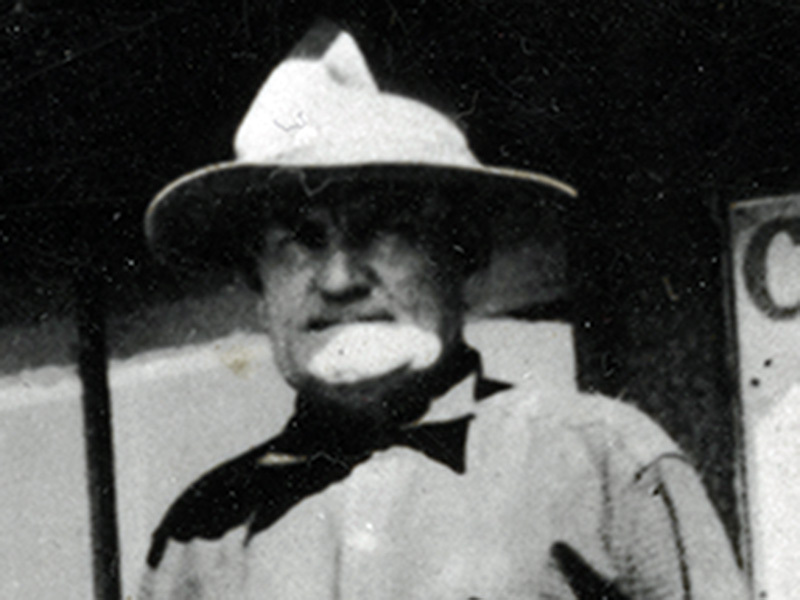 The postmaster (postmistress) at the time was Lydia C. Newton, who served in that office from May 1, 1915, to May 1922 when J.J. Haisch was appointed to the position (Meryl Adams 1988:401). We're unsure of the physical location of the post office during Newton's tenure. Previously Paul Bachert's general store at today's 31814 Crown Valley Road, across the street from the old Acton Hotel, doubled as the post office; it would do so again when Haisch owned the store and served as postmaster. Will be at Gruel's office Friday at 2 p.m. Meet at that time. LW3372: 9600 dpi jpeg from original photograph purchased 2018 by Leon Worden.